Lola is the best part of this book. She is likable and sweet, easy to connect to. 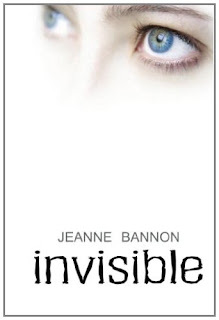 When she discovers that she has a unique ability, to turn herself invisible, she also has to consider just why she has that ability. Many wish for the chance to become invisible, but is it all that it's chalked up to be? In school, Lola is picked on and bullied fairly extensively, she doesn't fare too well at home, either. Her best friend keeps her sane. When her best friend and her come up with an idea to make the bullies pay, the reader will be rooting for them. The two are quite enjoyable to read about; Lola's best friend so obviously cares for her that it is endearing. Lola's story is told with empathy, the author is very careful with the wording and manages to maximize the characters' emotions so they are easily translatable to the reader. This book emphasizes the negatives of bullying and the immense amount of help a friend can offer. The plot is fast-paced and intriguing, the reader won't be bored. The ending is both slightly unexpected and satisfying. The only slight negative would be the whiny attitude Lola sometimes displays; however, as she is bullied so much this small whiny behavior does not amount to much. This book is recommended to young adult/teen readers. Kids can be so cruel. This looks like a heartwarming story. It is a heartwarming story :) I really enjoyed it! Oh wow this sounds like a great read! It's the first I hear of it! Wonderful review! I've read this book, and it really is good. Congratulations, Jeanne.